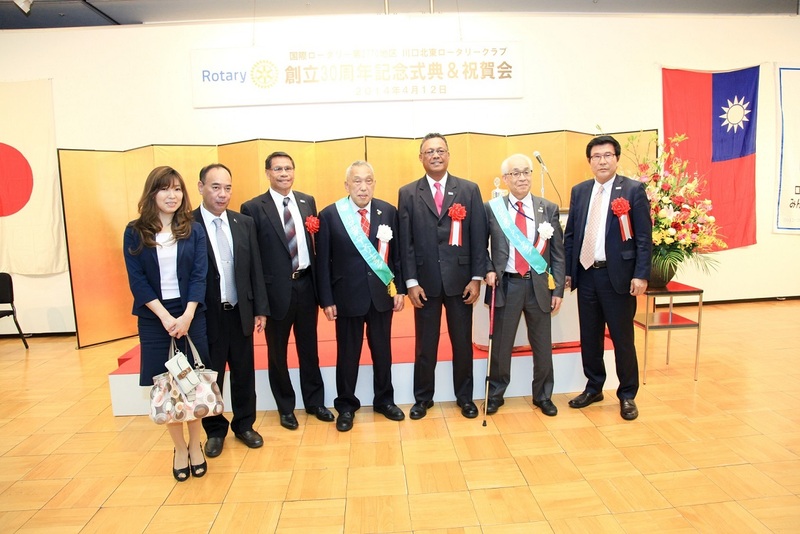 On April 12, 2014 Ambassador Francis M. Matsutaro accompanied Delegate Jonathan Isechal, Member of the House of Delegates of the Palau National Congress, and Mr. Donald Haruo, Adviser to the President of the Republic of Palau, to the 30th Anniversary of Hokuto Rotary Club in Kawaguchi, Saitama Prefecture. Hokuto Rotary Club was instrumental in securing donation of two garbage trucks to Peleliu State, Republic of Palau. It was an opportunity for Delegate Isechal, who is from Peleliu, to relay a massage of appreciation to the officers and members of the club on behalf of the people of Peleliu State. On October 1st, 1994 at 1:01pm, Palau declared its independence and became the Republic of Palau. Today, the Republic of Palau achieves its 20th anniversary. On this occasion, we would like to thank all sincere supporters of Palau and we hope to foster an everlasting bond between Japan and Palau. H.E. 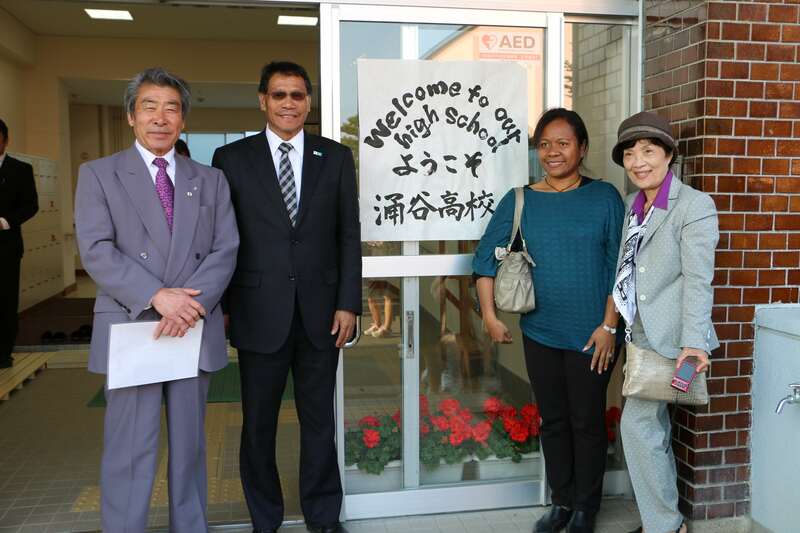 Francis M. Matsutaro visited Wakuya Town on April 25th and 26th 2014. Wakuya Town in Miyagi Prefecture is the hometown of Mr. Doomoto Teiichi, a Japan government official who was in Palau during the Japanese rule of Palau. The daughter of late Doomoto Teiichi, Mrs. Nishi Noriko went to Wakuya Town with the Ambassador. They met with Honorable Mr. Abe Shuji who also attended the event to pay respects to the late Mr. Doomoto Teiichi at his graveyard in Ryuenji and planted a Sakura tree to commemorate Ambassador Matsutaro`s visit. H.E. 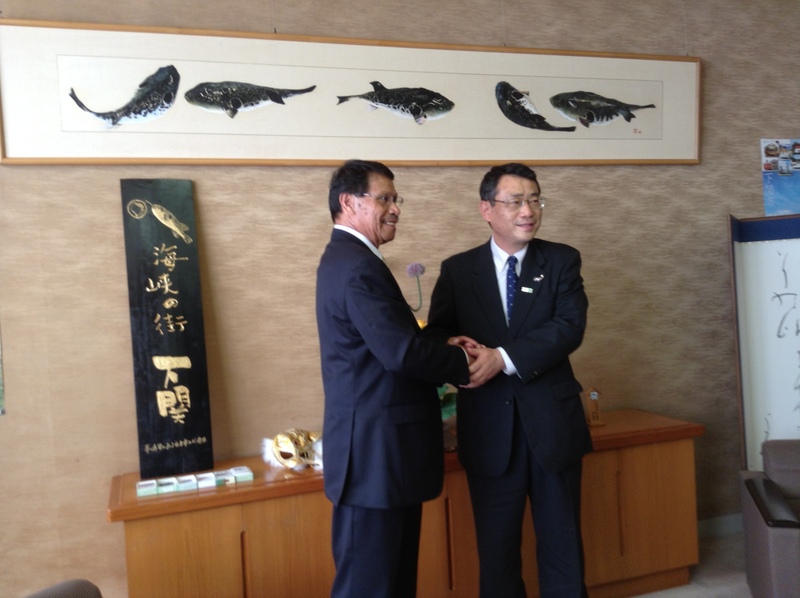 Francis M. Matsutaro made a Courtesy visit to the office of Honorable Mr. Tomoaki Nakao, Mayor of Shimonoseki City, Yamaguchi Prefecture on May 15-16, 2014. They discussed the possibility of bringing a Dugong from Palau to the Marine Science Museum Shimonoseki City. He also paid a courtesy visit to the Chairperson of Shimonoseki Assembly, Mr. Hiroshi Sekitani and other officials. H.E. 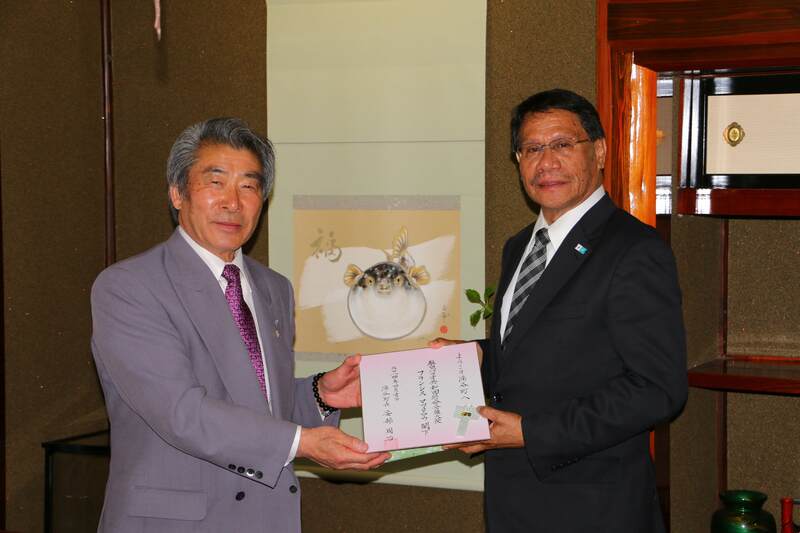 Francis M. Matsutaro expressed his desire to cooperate with Shimonoseki City in this project during his tenure as the Ambassador of Palau to Japan. 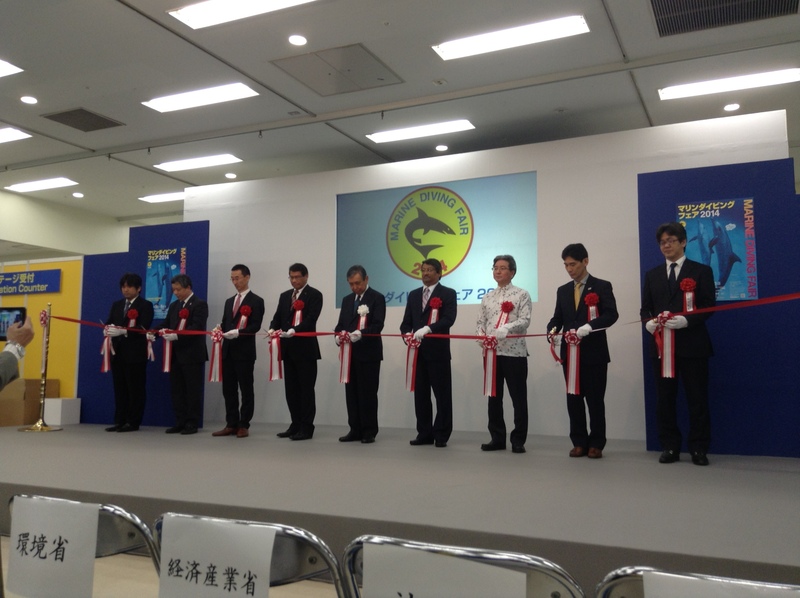 The project was proposed by Tiger Mask (Mr. Sayama) who is a Goodwill Representative for Shimonoseki City. 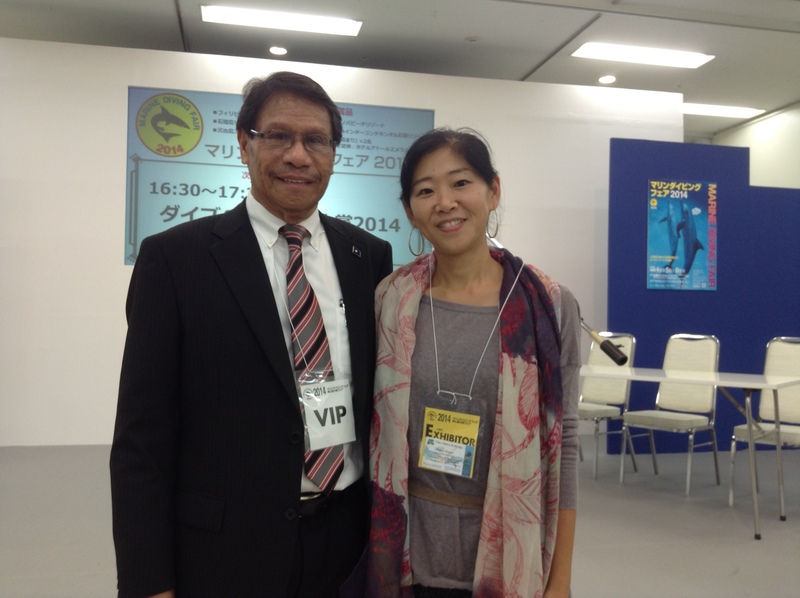 The Embassy of the Republic of Palau in Tokyo, Japan has renewed its website. 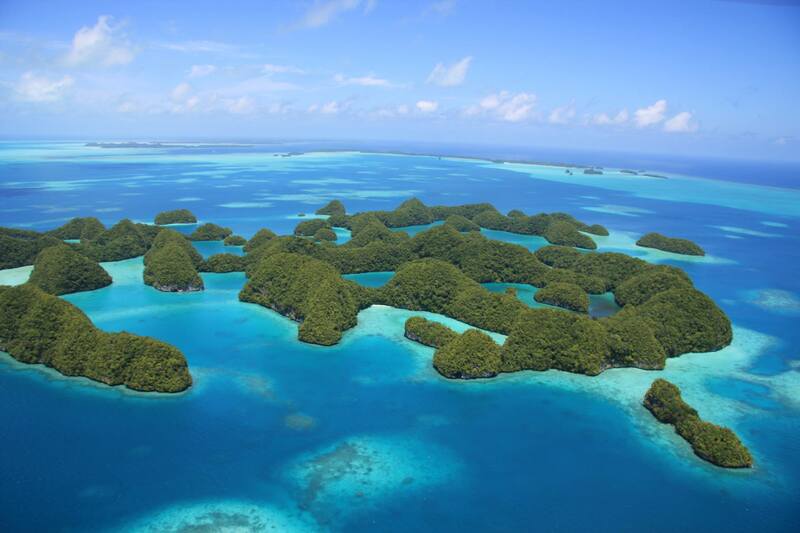 Here, information about Palau as well as the embassy will be posted. Along with the news section of the website, we will be posting some information through social medias such as Facebook.